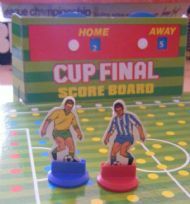 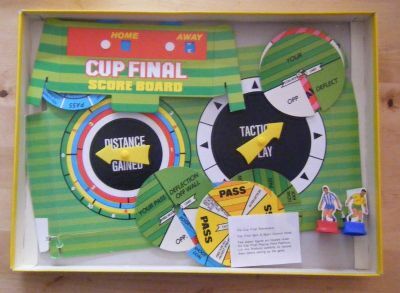 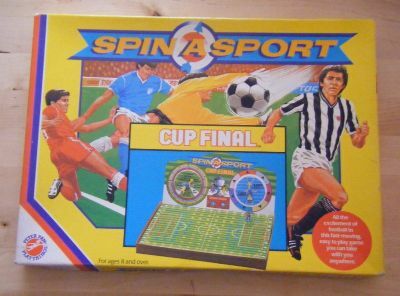 A football game from Peter Pan Playthings who also produced another football game also called Cup Final around the same time that was completely different! 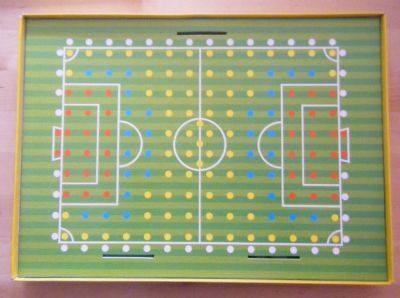 The coloured dots relate to the relevant spin grids too be used to determine the outcome of a move. 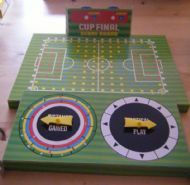 The pitch has the scoreboard and spinners attached to it. 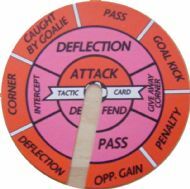 The spinners have a large number of interchangeable cards for them to determine the outcome of different parts of the game. 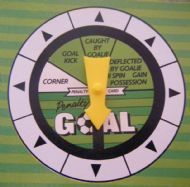 Another example of a spinner card with 50% chance of a goal.